(NaturalNews) The alarming findings that levels of Fukushima radiation off the North American coast are higher now than they have ever been, is being spun by the press as an issue of no concern. In March 2011, Japan's Fukushima Daiichi nuclear power plant suffered multiple meltdowns following a massive earthquake and tsunami. The exploding reactors sprayed massive amounts of radioactive material into the air, most of which settled into the Pacific Ocean. Since then, more radioactive material has continued to pour from the coastal plant into the ocean. Instead of presenting the findings as an alarming sign of growing radiation, however, Buesseler emphasizes that the Cesium-134 levels detected are still 500 times lower than the drinking water limits set by the U.S. government. The news site The Big Wobble questions whether Buesseler and Woods Hole's heavy financial reliance on the U.S. government – Woods Hole has received nearly $8 million in research funding from several government agencies – plays any role in this emphasis. 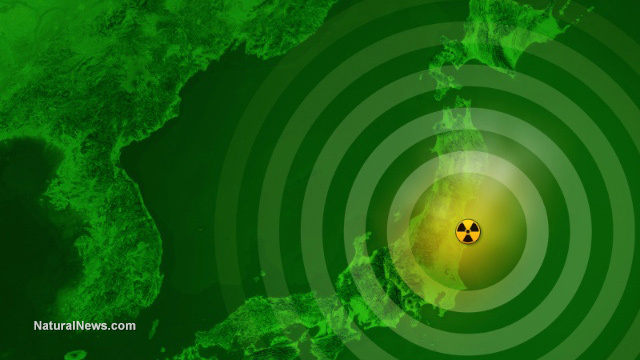 According to professor Michio Aoyama of Japan's Fukushima University Institute of Environmental Radioactivity, the amount of radiation from Fukushima that has now reached North America is probably nearly as much as was spread over Japan during the initial disaster. Without directly challenging the U.S. government's "safe" radiation limits, Buesseler obliquely references the fact that any radioactive contamination of the ocean is cause for concern. "Despite the fact that the levels of contamination off our shores remain well below government-established safety limits for human health or to marine life," he said, "the changing values underscore the need to more closely monitor contamination levels across the Pacific."